The opening chapter of Glass-Ceramics: Properties, Applications and Technology offers an overview of glass-ceramics (GCs) from their discovery to their domestic and technological applications in our society today. Important methods for manufacturing GCs are explained, including the petrurgic method, conventional melt-quench methods, as well as cold forming and sinter-crystallisation methods. The authors go on to discuss potassium alumina borate glass-ceramics activated by different transition metal ions, which resulted in different features from magneto-optical rotation to high luminescent properties. Ceramics and glass-ceramics are thermodynamically stable systems, which serve as an alternative for industrial glasses by a number of physico-chemical characteristics. 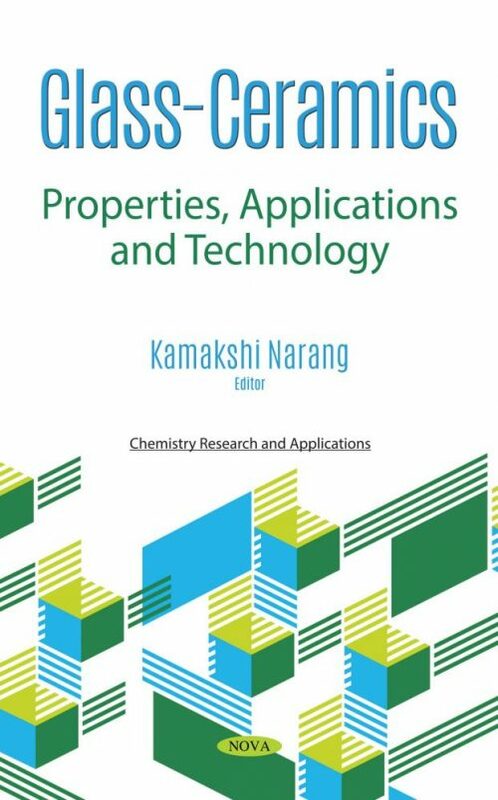 Thus, this compilation also studies the applicability of spark plasma sintering for the fabrication of highly dense ceramic and glass-ceramic matrices containing radionuclides, which are based on zeolites of diverse origin. Glass and ceramic based materials are currently applied to numerous areas of the medical and dental professions. The authors suggest that bioceramic based materials can be formulated to contain specific ions that present a therapeutic benefit to the host tissue when released in vivo. In addition to positively influencing osteogenesis, the effect of ionic dissolution from bioactive glasses has resulted in stimulating physiological processes such as chondrogenesis and angiogenesis, imparting antimicrobial properties and presenting anti-inflammatory effects. The concluding chapter deals with the design, budget and study of the economic viability of a pilot plant for the development of glass-ceramic panels, mainly focused on the possibility of using industrial residues as raw materials in their manufacturing.